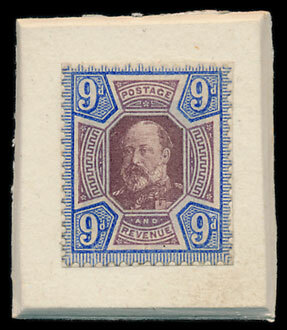 In the October stamp auction a King Edward VII ‘Paste Up’ Essay on a Queen Victoria Jubilee 9d sold for £1,560. Various profiles were trialled at the time, this one has the Kings face ¾ turned to the viewer, but they were not popular with the public who were familiar with the Monarchs head in full profile, so were not adopted. 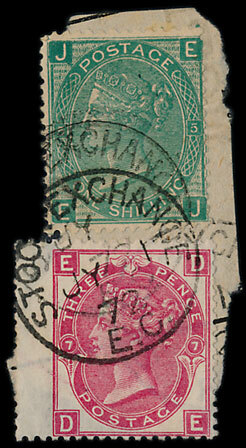 An example of the forged 1870 1s used on Telegraph forms at the London Stock Exchange was popular with bidders. 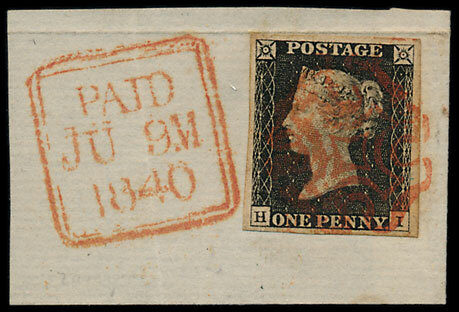 The usage of the forged stamps was not discovered until many years later so this, albeit untidy, item is part of an intriguing story. The lot achieved £312. 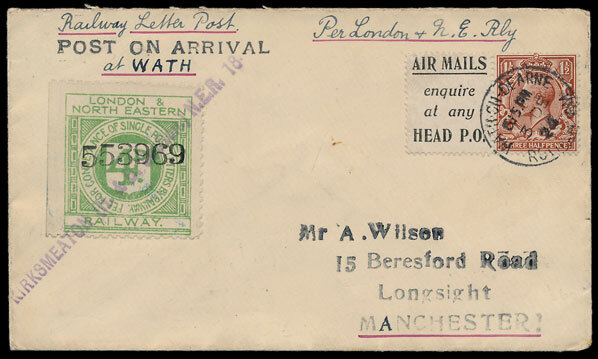 Some ‘written up’ Railway collections achieved very good prices. London & North Eastern Railway sold for £1170, a similar lot for Great Northern Railway sold for £1740. Amongst the Great Britain section a good selection of Line Engraved issues were on offer, with 16 penny blacks illustrated in the auction catalogue. Amongst those a plate 2 example on-piece sold for £264. The King Edward VII items included some bargains for canny buyers, a De La Rue 4d shade sold for £57 (Catalogue £300), 10d ‘no-cross on crown’ variety sold for £132 (Catalogue £725) and 10d shade with certificate sold for £114 (Catalogue £550). Similarly in the KGV, though collections sold well above the estimates, single items could be bought at very competitive prices. 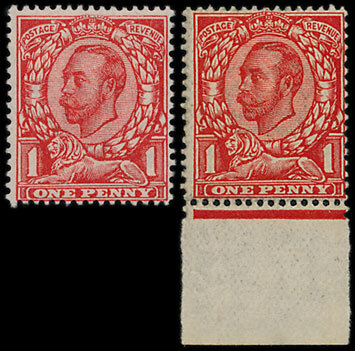 An aniline scarlet 1d variety ‘no cross on crown’ sold for £360 (Catalogue £2000) and another rare shade was unsold but could have been bought for £290 (Catalogue £1700). In the Queen Elizabeth section a number of pre-decimal errors were on offer. 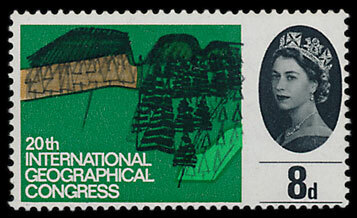 From those a 1964 Geographical Congress with inverted watermark reached £960. 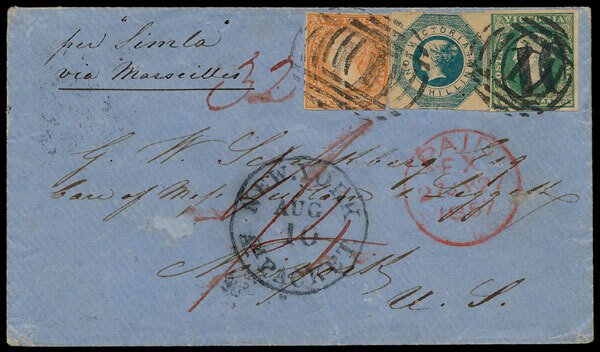 An 1857 cover from Victoria to New York via Marseilles, sold for £576. 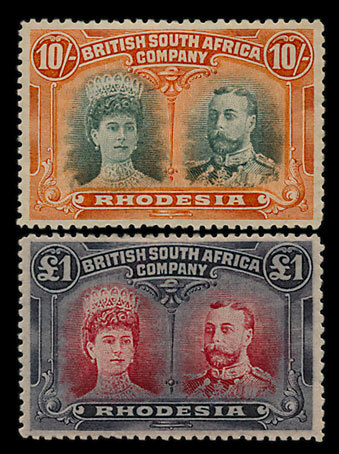 A Rhodesia 1910-13 Double Heads set to £1 sold for £1080. 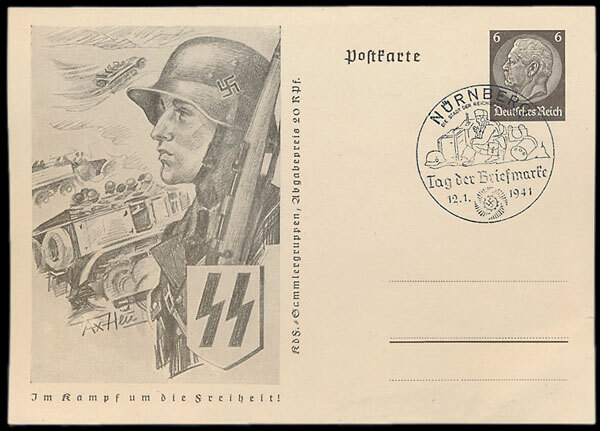 In the foreign section a collection of Germany Third Reich Propaganda Postcards & Postal Stationery sold for almost 10 times the auction estimate of £50.